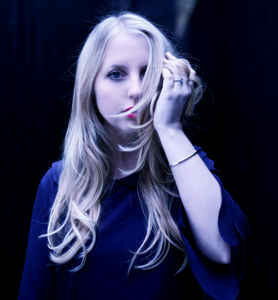 While best known as a solo artist signed to Mute, Essex songstress POLLY SCATTERGOOD recently won acclaim for her hauntingly spacey vocal in a new epic arrangement of ‘Video Killed The Radio Star’. Subtitled ‘Dark Star’, it was recorded with one of the song’s co-writers Bruce Woolley. Never one for convention, for Record Store Day 2017, she not only released a physical edition ‘Video Killed The Radio Star’ exclusively in CD format, but it was also only available online. Scattergood’s self-titled debut came out on Mute in 2009 on which revealed herself to be a promising talent unafraid to express emotion and vulnerability. One of the album’s highlights ‘Other Too Endless’ was remixed by Vince Clarke and showed how her music could work within a synthesized environment. And it was on second album ‘Arrows’ in 2013 featuring the electro-COCTEAU TWINS twist of ‘Wanderlust’ that she was able to indulge in some of her more technological aspirations, while ‘Cocoon’ exposed her enticing vulnerability over an eerie soundscape. But in 2015, Scattergood headed in the opposite direction in collaboration with Mute label mate James Chapman of MAPS; their ON DEAD WAVES project featured a more guitar oriented and retro-based aesthetic than any of their individual works. But in acknowledgement of their Mute roots, the pair recorded an Americana flavoured cover of YAZOO’s ‘Only You’. 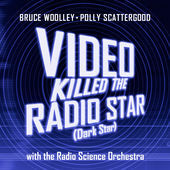 How did your ‘Video Killed The Radio Star’ collaboration with Bruce Woolley come about? Bruce contacted Mute a while ago asking if I would be interested in working with him on ‘Video Killed The Radio Star’. I am a fan of his work so we got together in his studio and played with some ideas. You got to dress up like Barbarella in the video and handle a VCS3, where did that come from and have you had a go on a working one? Bruce and I met for drinks in London and he pulled out all of these sketches of space scenes and other worldly beings that he had in his head and it just kind of flowed from there… we then discussed wires and electronics as we both love synths and couldn’t resist having the beautiful VCS3 in the video. Bruce has some amazing instruments in his studio. My synth obsession began very early as my mum’s sister (Elizabeth Parker) worked at the Radiophonic Workshop for years. I watched her on some wild videos playing these incredible machines growing up, I always wanted to play them myself, but they aren’t the kind of thing you get your hands on easily! When I signed to Mute, Daniel Miller showed me the Mute studio which had a pretty amazing collection of equipment which I was lucky enough to have access to. I think that’s partly why my first album took so many years to make, I had too many toys to play with! You’re no stranger to cover versions with standards like ‘The Look Of Love’, ‘New York New York’, ‘Comfortably Numb’ and ‘Only You’ among the songs you have performed. Are there any others you’d like to try out? Lots, but it’s a case of feeling inspired to add something new or different to a track, rather than regurgitating something for the sake of it. 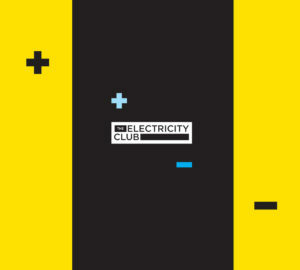 The Vince Clarke remix of ‘Other Too Endless’ from your debut album will be appearing on The Electricity Club compilation out soon. What was the inspiration behind the song, both lyrically and musically? The resultant remix from Vince Clarke was very different from your original. What were your thoughts when you first heard it? What did you particularly like about it? Vince Clarke really went straight to the heart of this song with his remix. He kind of stripped away all the layers I had buried myself in and left my vocal naked in parts. When I write and work on producing these songs, I often leave these little secrets in them, especially in the production. Like clues to where they came from. Sometimes people hear them and sometimes they don’t, but what Vince did was brave. He took away the safety net of layers and added a starkness and a strength to the song which I would never have been able to achieve on my own. It didn’t stop there because you did ‘Ghostgirl Lovesick’ with Vince Clarke too, what was the collaboration process for that? I was living in a tiny studio flat in an attic opposite the Forum in Kentish Town at the time and recording all my ideas onto mini disk. These ridiculously beautiful books, created by Tonya Hurley, arrived on my door step and they really inspired the song. I worked on the track closely with both Tonya and Vince, then I recorded some ideas onto mini disk… wow that makes me feel so old but it wasn’t that long ago, right?! I sent them over to Vince who then worked his magic. You can hear bits of the room of the recording but I kind of love that, it all just made it much more intimate. Has a full collaborative with Vince Clarke ever been discussed? What do you think it would sound like? It’s never been discussed, and I never know what anything will sound like until it’s finished so I couldn’t hazard a guess at how a collaboration would sound…but Vince is awesome, I’m a big fan of his work, and always open to interesting collaborations, so never say never! You’ve always been quite open to the remix process with THE GOLDEN FILTER, ANALOG SUICIDE, FORT ROMEAU and MAPS being among those who have given reinterpretations of your work. Do you have any favourites? I only release remixes I really love so they are all quite special to me in different ways and for different reasons. The Vince remixes will always be very close to my heart. I also love the ANALOG SUICIDE (Tara Busch) remix of ‘Bunny Club’. I released it on limited edition cassette tape I loved it so much. Also MAPS (my label mate and ON DEAD WAVES collaborator) has a way of making everything sound epic and dreamy! So how do you look back on your most recent album project ON DEAD WAVES with James Chapman of MAPS? ON DEAD WAVES is a real joy to be part of. It’s a project I feel incredibly proud of. James is an incredible musician and has a very calm studio vibe. Our creative process was pure and there was no outside pressure or interference. We both share the same manager, he was very supportive of the whole process and keen that we stay focused and don’t worry about anything other than the music, so that’s what we did. It was just me and James in the studio where we would work late and get up strangely early. We were doing what we love so the studio bubble is a good place to be in. When Mute heard the album, they really took it in the spirit it was intended and spent a long time working with us on the artwork and creative side of things, making it really reflect the empty expansiveness of the sound. We had a lot of fun, played some amazing gigs, from the beautiful Roundhouse in Camden to supporting M83. So yeah, ON DEAD WAVES is a project which I have a lot of love for and continue to do so! ‘Blackbird’ allowed you and James to pursue your Nancy and Lee fantasies? We didn’t talk about musical references when writing, we shared a lot of art and film references though. It’s almost time for solo album number three. What direction are you heading in for that following the first two, quite varied offerings and ON DEAD WAVES? I have hundreds of songs on my hard drive, but none of them are ready to be put into an album yet. I’m working on a little EP idea with Jim Sclavunos at the moment. Don’t want to give too much away though as it’s very early days but it’s all exciting. People are still discovering your work. 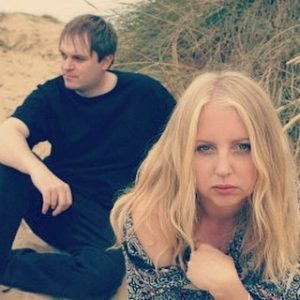 For anyone reading here about you for the first time, which five tracks would you suggest they check out to understand you as an artist in your various guises and collaborations?